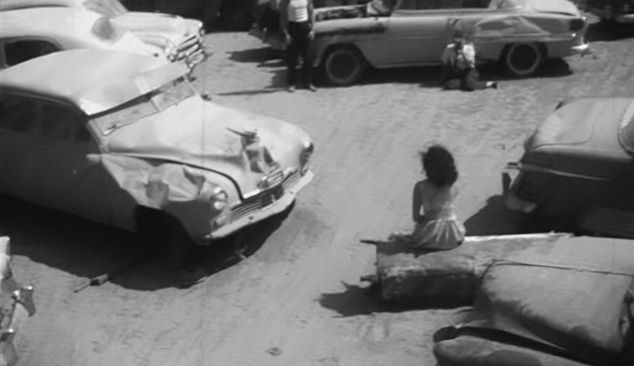 IMCDb.org: 1947 Kaiser Special [K100] in "The Sadist, 1963"
Looks like a late 40s Kaiser. Agreed. With the narrow grille (indicators are not part of it) and the part of the grille on the hood it's a 1947 Kaiser. Almost all Kaisers were Specials, only very few Customs. So that would make this most probably a Special [K 100] (or the virtually identical 1948 version [K 481].